She's always been delightful--now she's delicious, too! 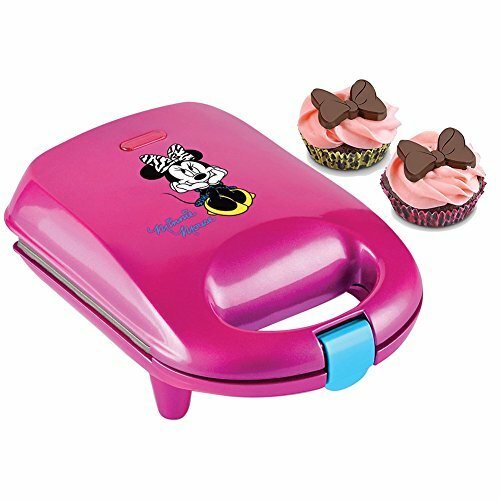 Minnie cupcake maker bakes 4 cupcakes at a time, and includes 100 cupcake liners and a silicone candy mold. Non-stick baking plates for easy clean-up. Other features include illuminated power light, cord wrap, non-skid feet, locking lid, and instructions. About 8.5" x 6.5" x 3.5". If you have any questions about this product by Select Brands, contact us by completing and submitting the form below. If you are looking for a specif part number, please include it with your message.